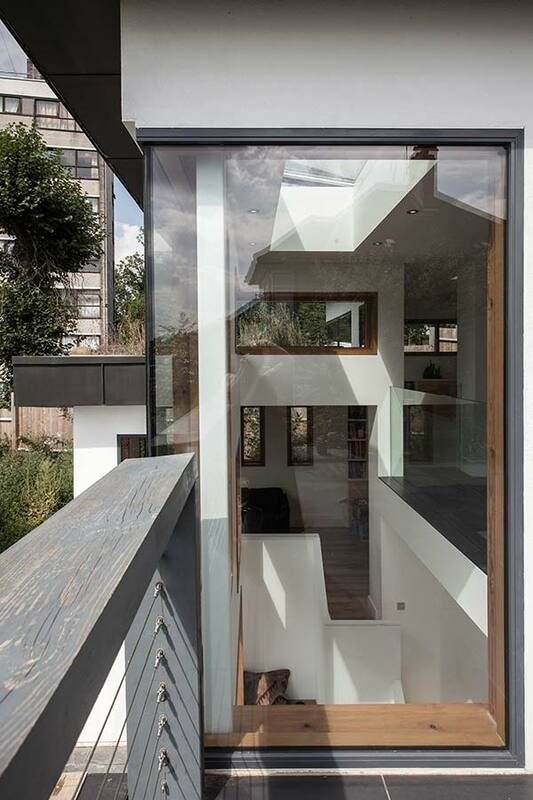 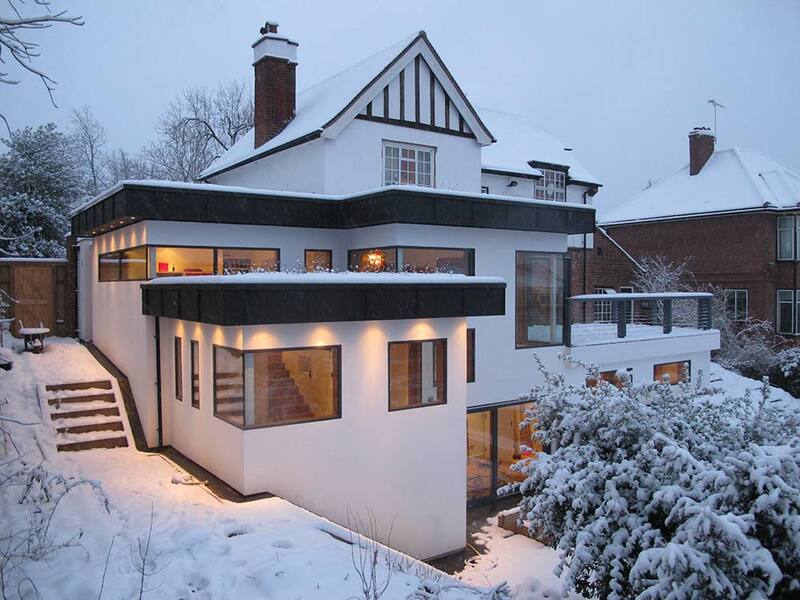 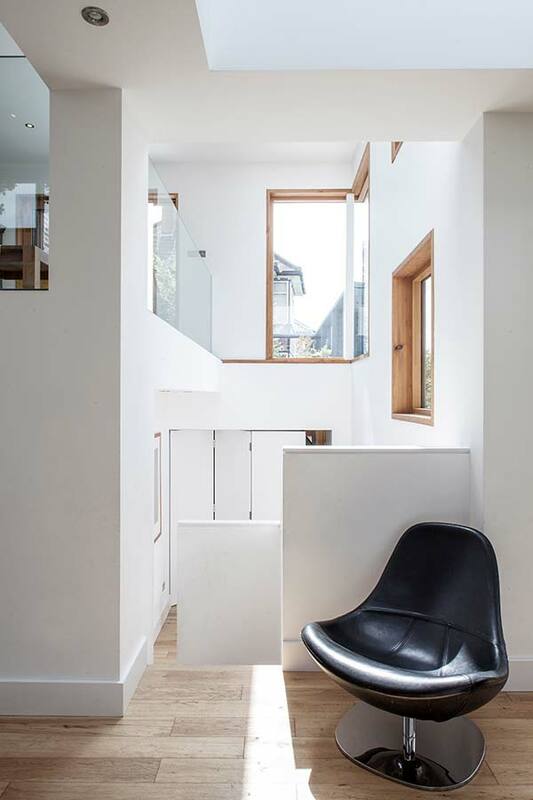 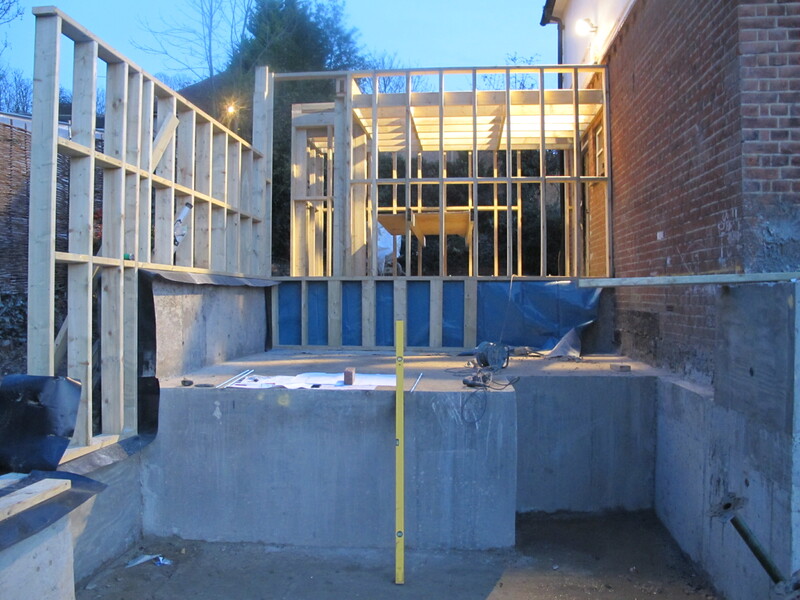 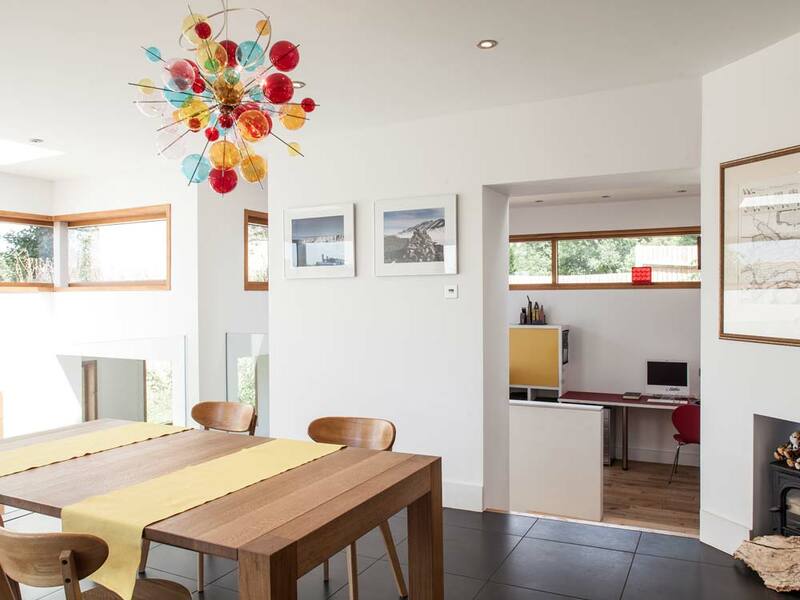 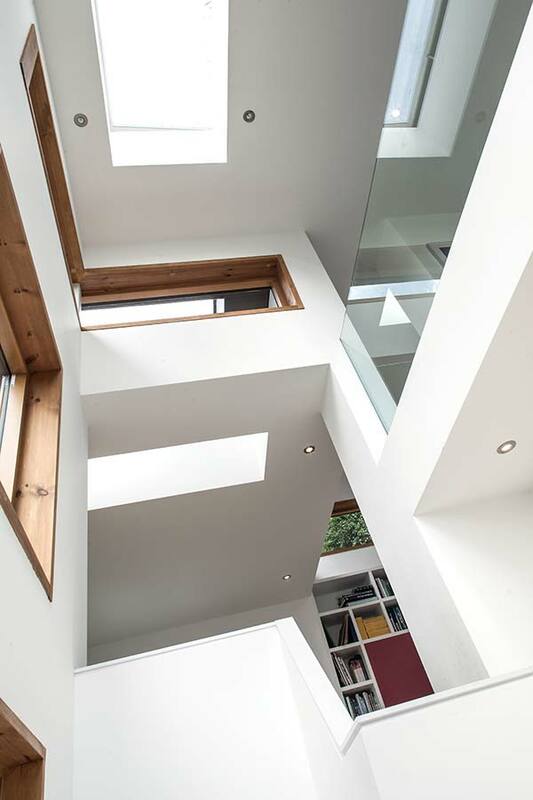 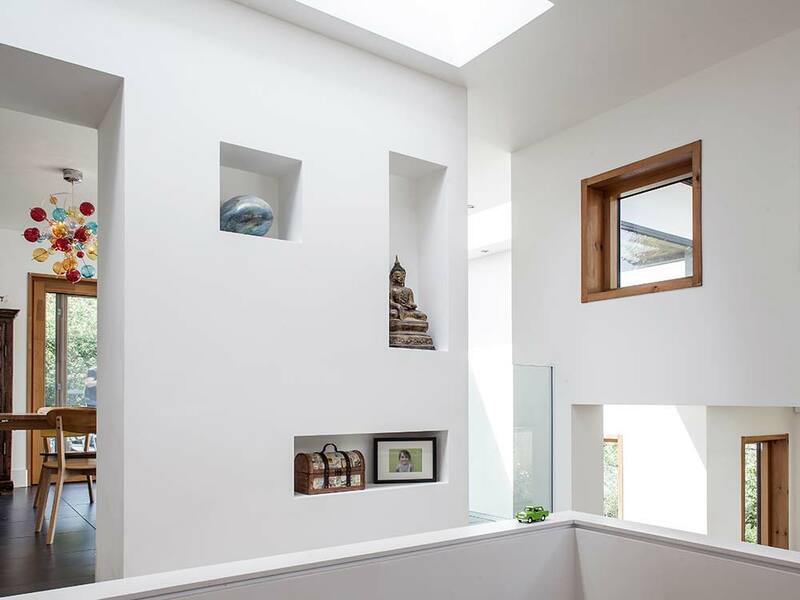 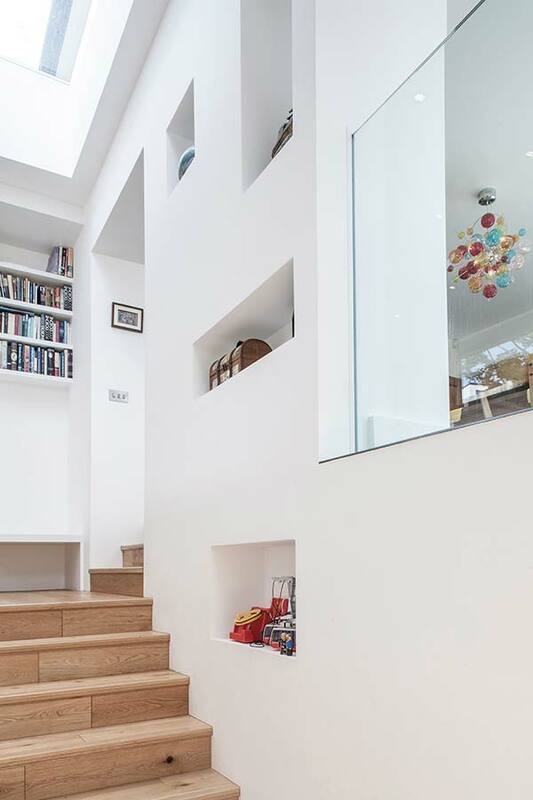 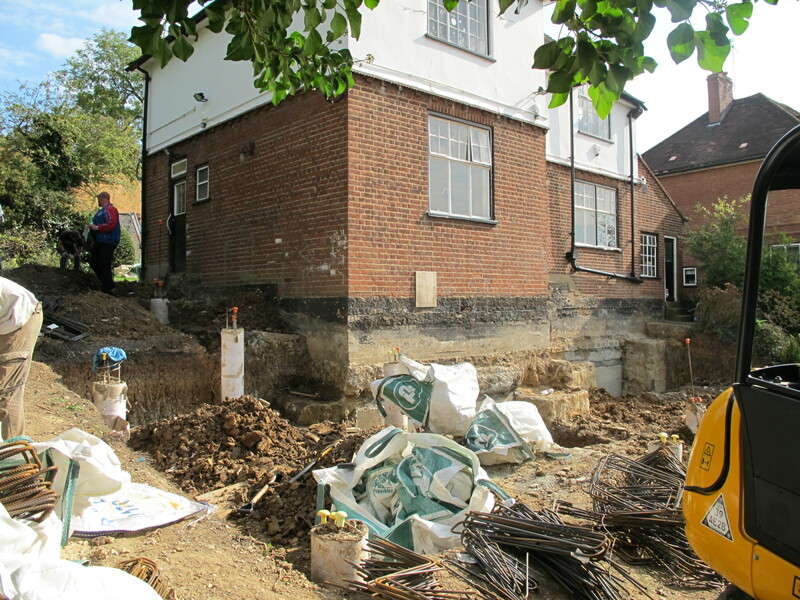 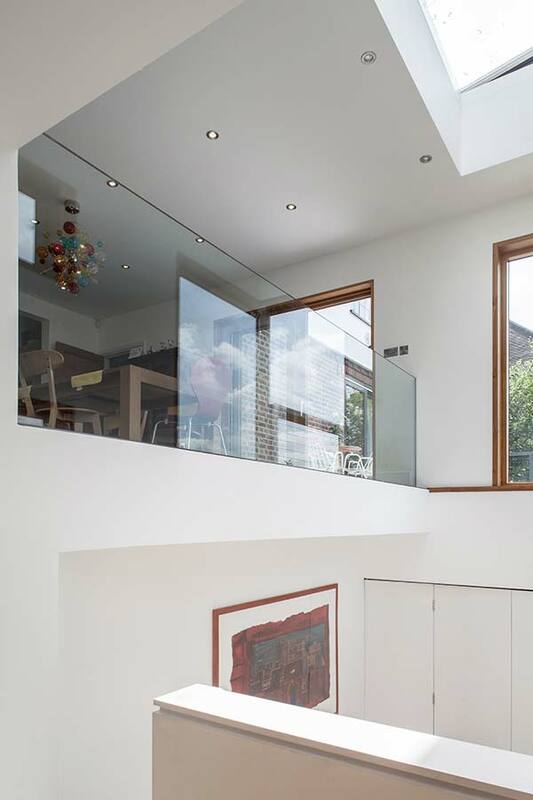 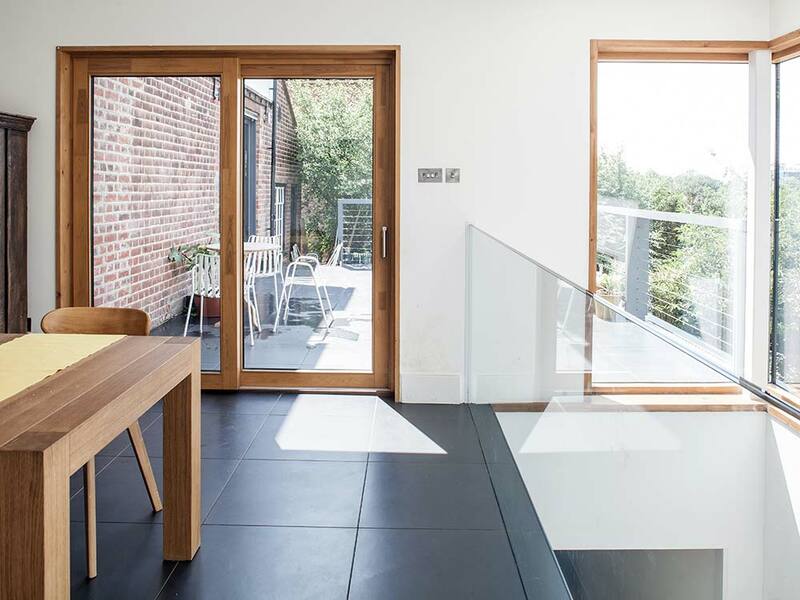 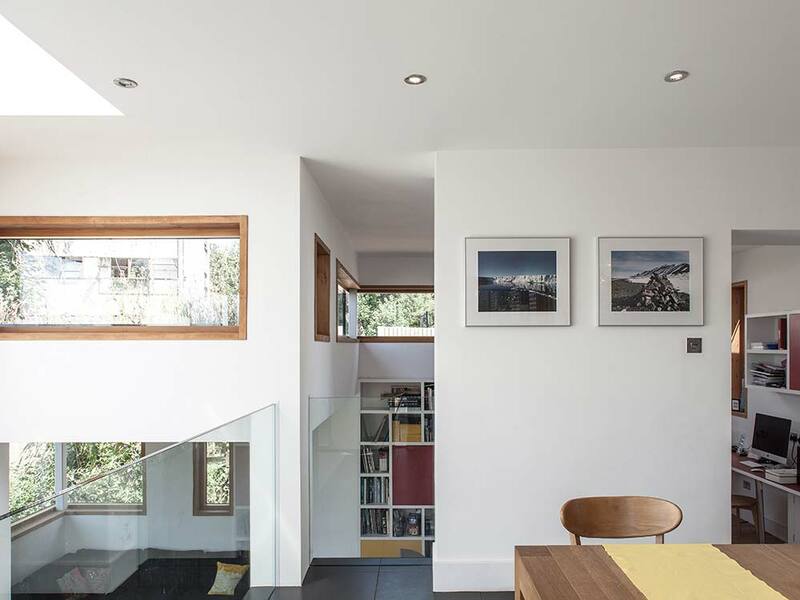 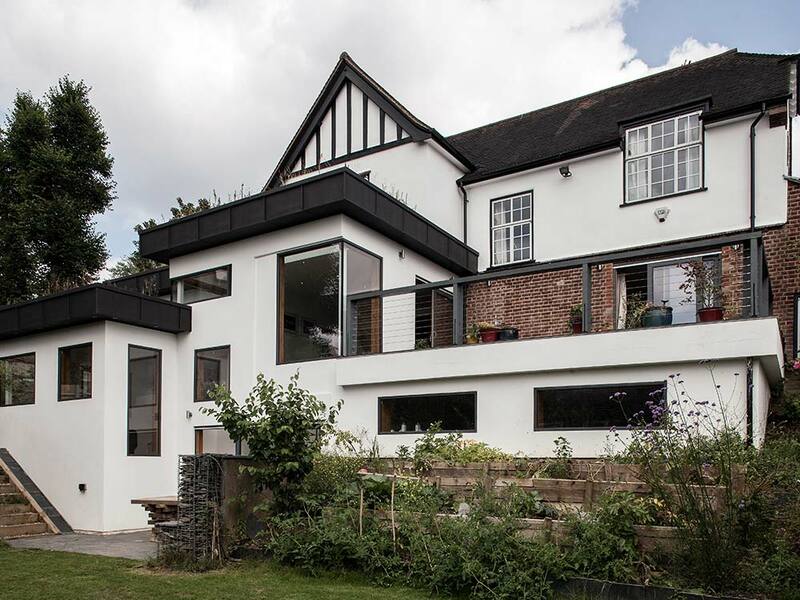 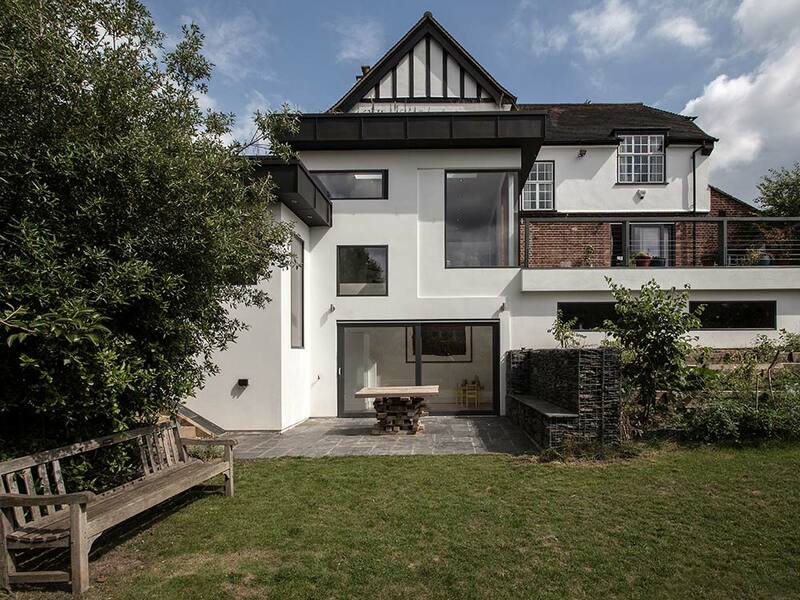 This is a contemporary side and rear extension to an existing 1930s house within a conservation area. 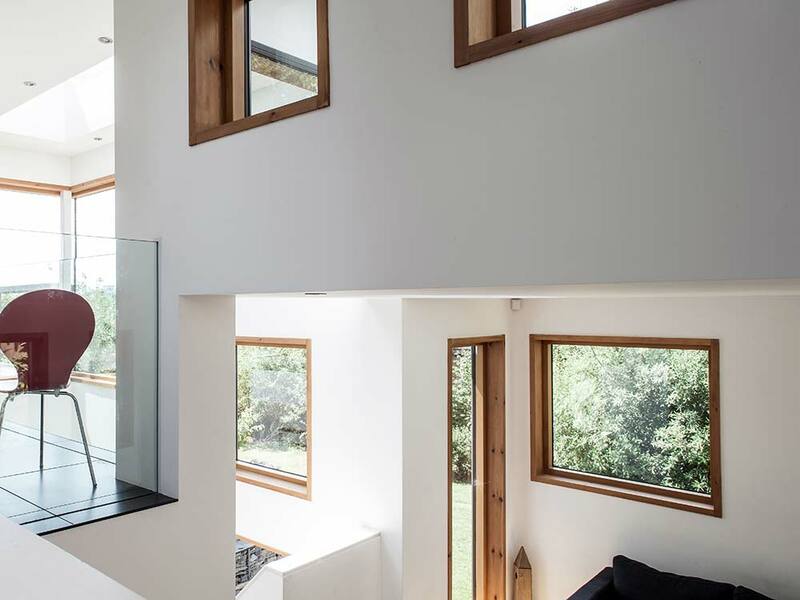 The design responds to the sloping site and comprises of 4 interlocking forms which terrace into the landscape. 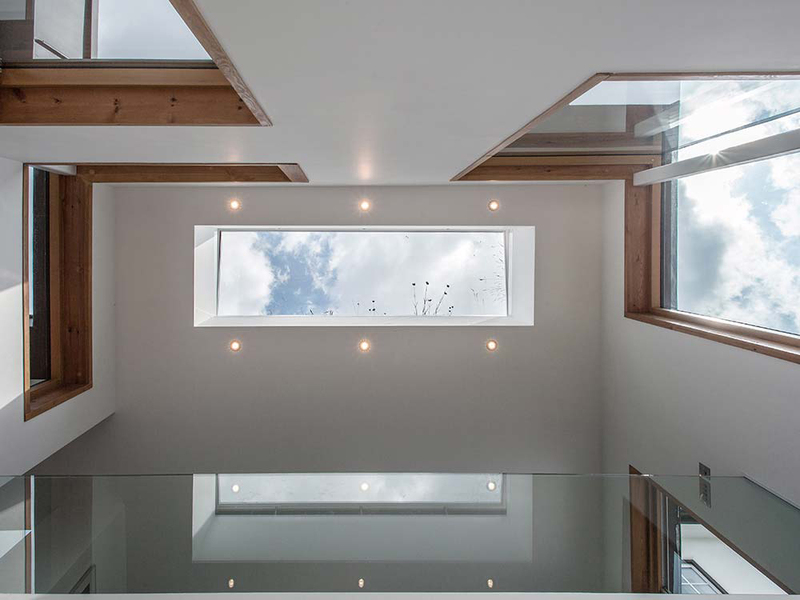 These forms are unified by the arrangement of cantilevered roofs, wrap-around windows, and external white render. 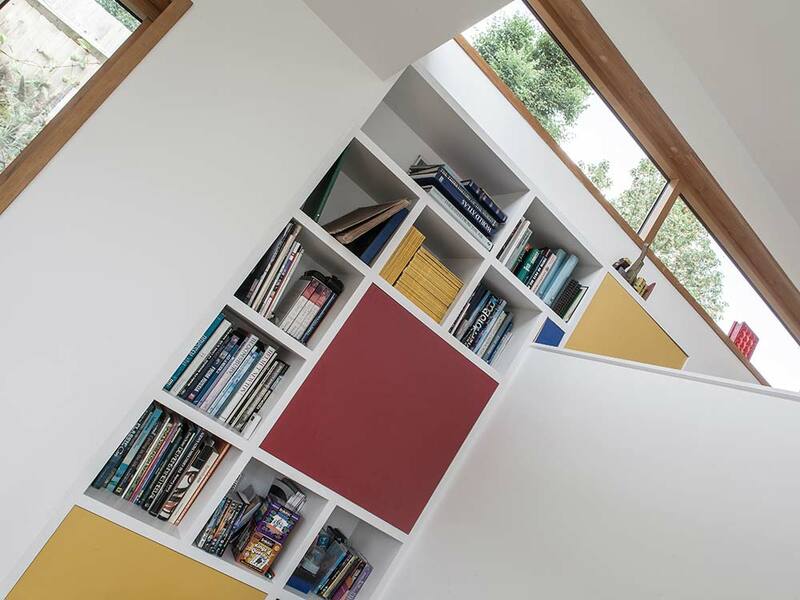 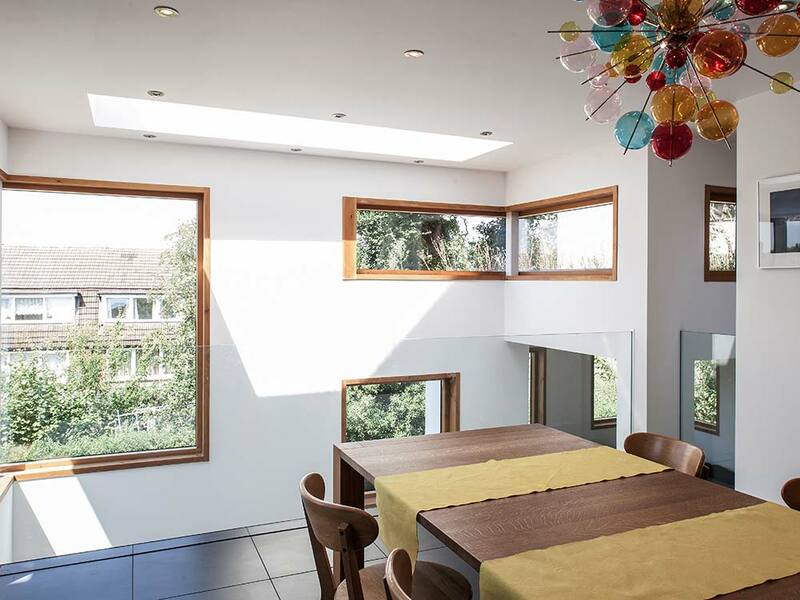 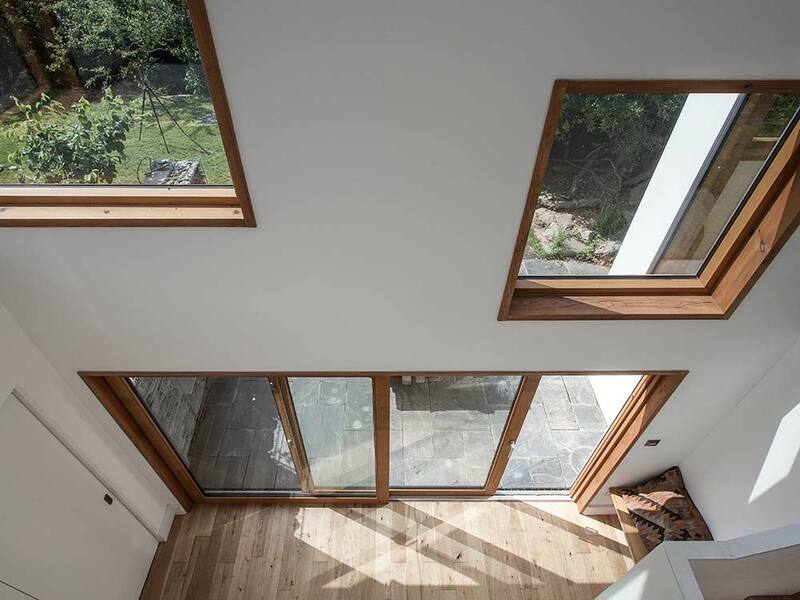 The extension accommodates a kitchen, dining spaces, a music rehearsal room, a study, and guest bedroom. 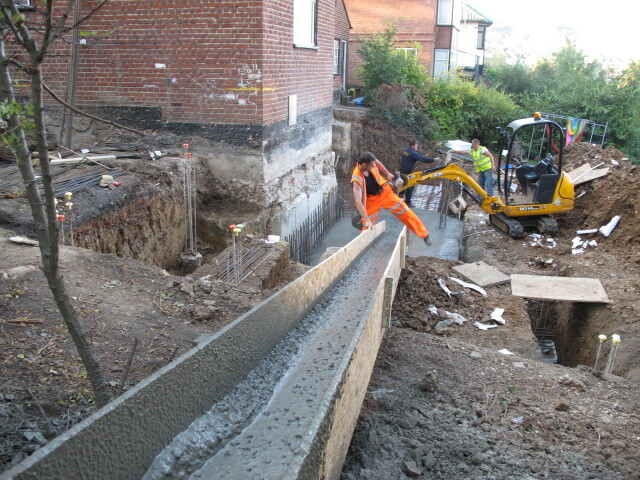 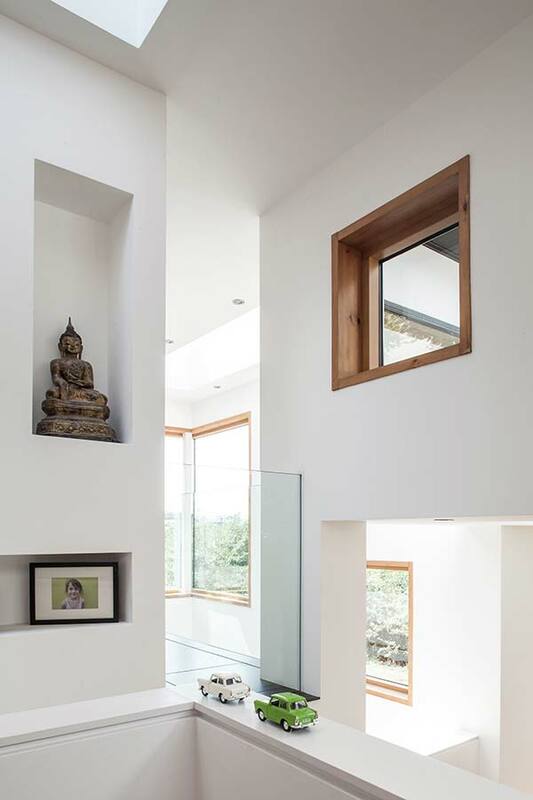 The plan internally is arranged on a number of split levels with linking staircases. 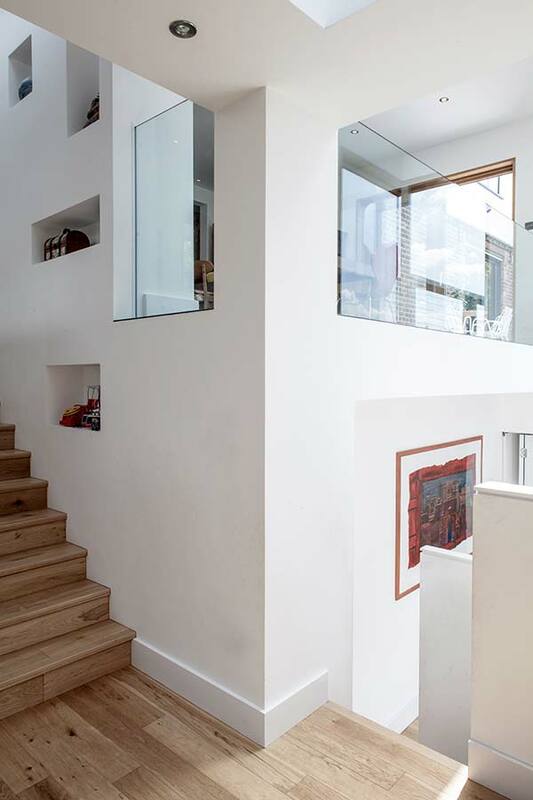 This arrangement creates a series of carefully considered views between the internal spaces; and is inspired by the notion of Raumplan devised by the architect Adolf Loos. 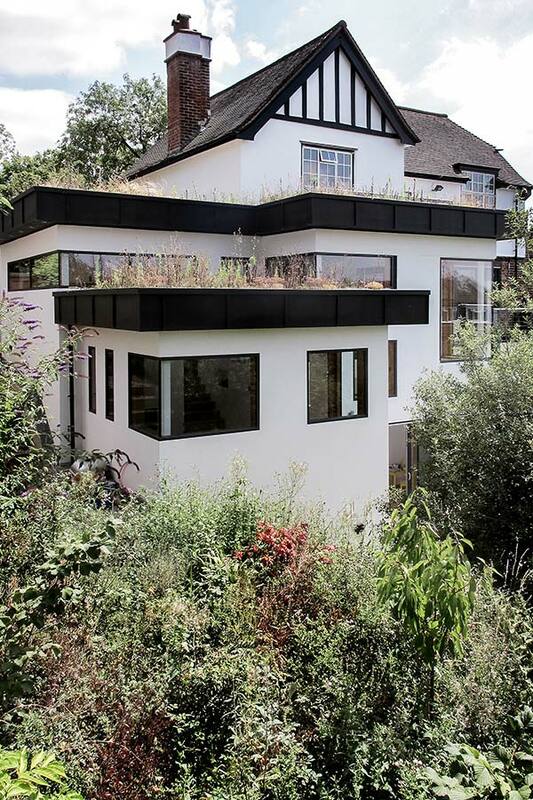 The flat roofs are planted with a mix of Sedum and wild flowers, and rain water harvesting tanks have been located under the rear garden.